Along with our Camps, Clinics and College-Prep Programing, we offer private and small group lessons to those looking to develop specific skills (draws, shooting, dodging, defense, goalkeeping). This winter we will be offering sessions on January 8 and January 15 from 3-4pm, and during Winter Break February 18-22 from 9am-10am and from 10am-11am. 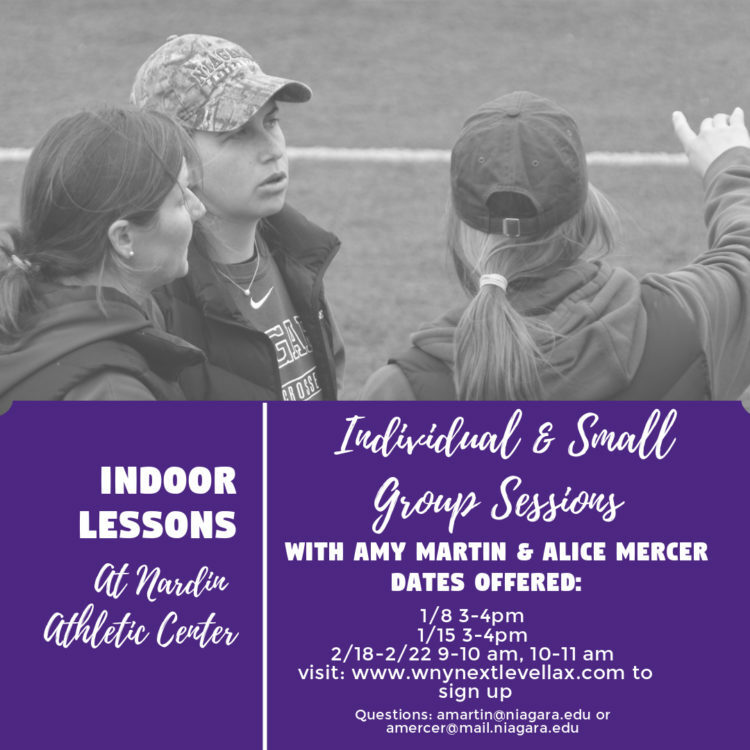 Please email us at amartin@niagara.edu or amercer@mail.niagara.edu for more information so we can set you up with the Next Level Lax Coach that meets your needs.